← The Market Speaks: Time To Sell Your Home! 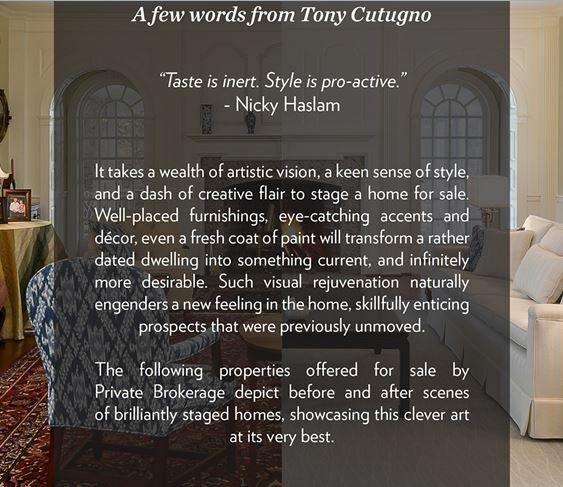 Homes Are Still Selling At Discounted Rates. Don’t Let Yours Be One of Them. We know, we know—we just published a blog post about buyer demand exceeding homeowner supply, and how that’s great news for you, the seller. However, that doesn’t mean that everything is peachy for home sellers just yet. Read on to find out why, as the market continues to improve for sellers, it’s even more important to invest in home staging. 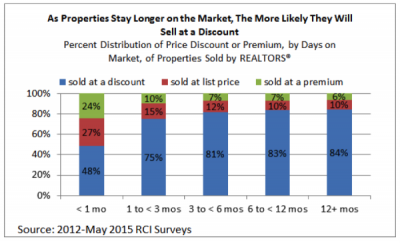 Though selling prices are undoubtedly improving, 63 percent of homes still sell at a discount compared to the listing price, according to the May 2015 REALTORS® Confidence Index Survey. Generally, the discount ranges from 1 percent to 11 percent. Moreover, the longer a home stays on the market, the more likely it is to be sold at a discount. 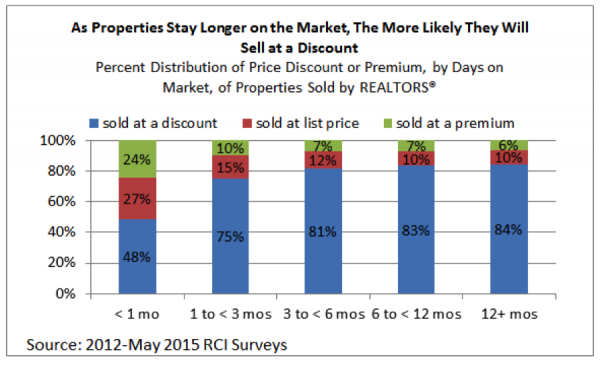 According to monthly surveys of realtors from 2012 to May 2015, 84 percent of properties that sold after 12 months were sold at a discount, while less than half of properties that were sold within a month were sold at a discount. Similarly, 24 percent of those homes that sold within a month were sold at a premium, while only six percent of properties sold after 12 months did so. According to a recent study by the Real Estate Staging Association, sellers that stage their home before putting it on the market sell 87% faster than those who put their home on the market and then staged. Contact us today for more information.